Apple has proudy released its latest updated version of OS 6.1 to OS 6.1 beta 5 which can be used on all iOS devices iPhone, iPod touch, and iPad. For those who are aware that this OS update has come just days before iOS 6.1 beta 4 was about to expire and is certainly a longest gaps between iOS beta releases in history. I’m sure many of you might be trying or had already tried but iOS beta5 isn’t available over-the-air (OTA) yet. 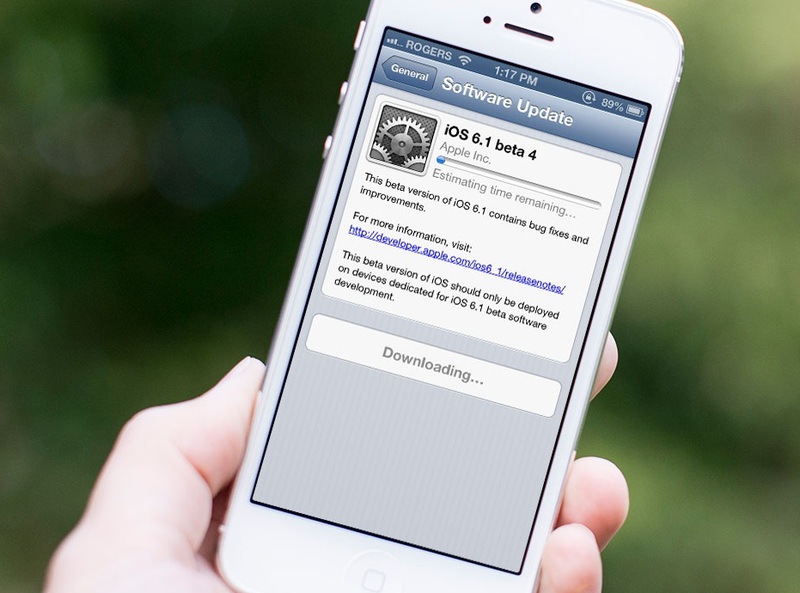 So if you are crazy like me and want this beta5 right now without any delay or waiting then you can download iOS 6.1 beta5 by click on this link https://developer.apple.com/ and later you can complete update via iTunes or Xcode. This beta is deliberately released for all registered developers so that they can try out application program interfaces (API) and makes certain that their games & applications are compatible and running smoothly before iOS 6.1 makes it way to iTunes, I’m hoping that iOS 6.1 will be officially launched within 2-3 months. This entry was posted on 28/01/2013, 2:48 PM and is filed under ios 6. You can follow any responses to this entry through RSS 2.0. You can leave a response, or trackback from your own site.